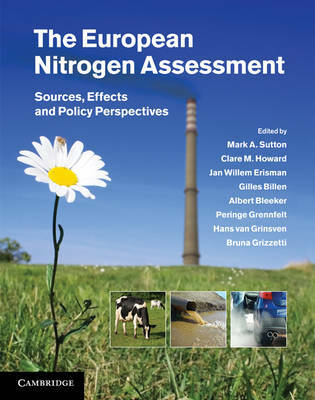 Presenting the first continental-scale assessment of reactive nitrogen in the environment, this book sets the related environmental problems in context by providing a multidisciplinary introduction to the nitrogen cycle processes. Issues of upscaling from farm plot and city to national and continental scales are addressed in detail with emphasis on opportunities for better management at local to global levels. The five key societal threats posed by reactive nitrogen are assessed, providing a framework for joined-up management of the nitrogen cycle in Europe, including the first cost-benefit analysis for different reactive nitrogen forms and future scenarios. Incorporating comprehensive maps, a handy technical synopsis and a summary for policy makers, this landmark volume is an essential reference for academic researchers across a wide range of disciplines, as well as stakeholders and policy makers. It is also a valuable tool in communicating the key environmental issues and future challenges to the wider public.